Click on the video for a demonstration of coconut husking. 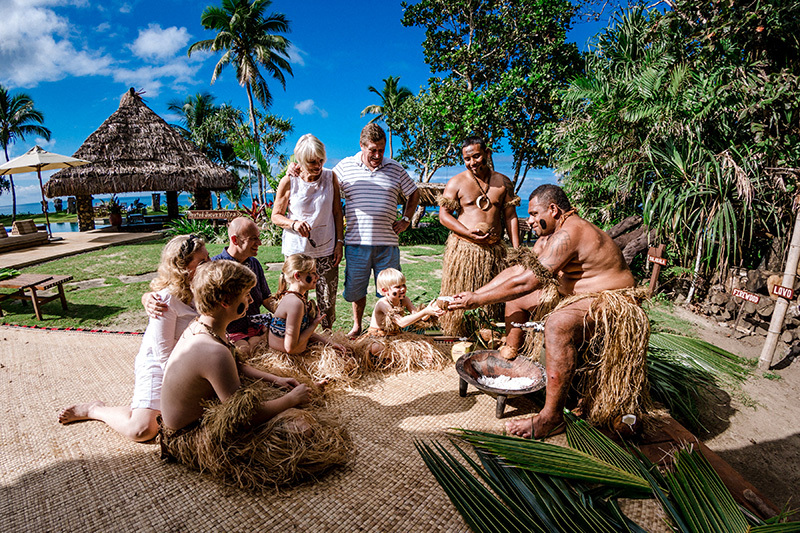 One of the many authentic island experiences you can partake in while spending a relaxing holiday at Nanuku. The term coconut is derived from the 16th-century Portuguese and Spanish word coco meaning “head” or “skull” after the three indentations on the coconut shell that resemble facial features. Did you know the coconut is technically not a nut, but actually a type of fruit? Botanically speaking, it’s a drupe (stone fruit), similar to peaches and mangoes, wherein there is an outer skin and fleshy part surrounding a single shell (the pit or stone), with a seed (kernel) inside. 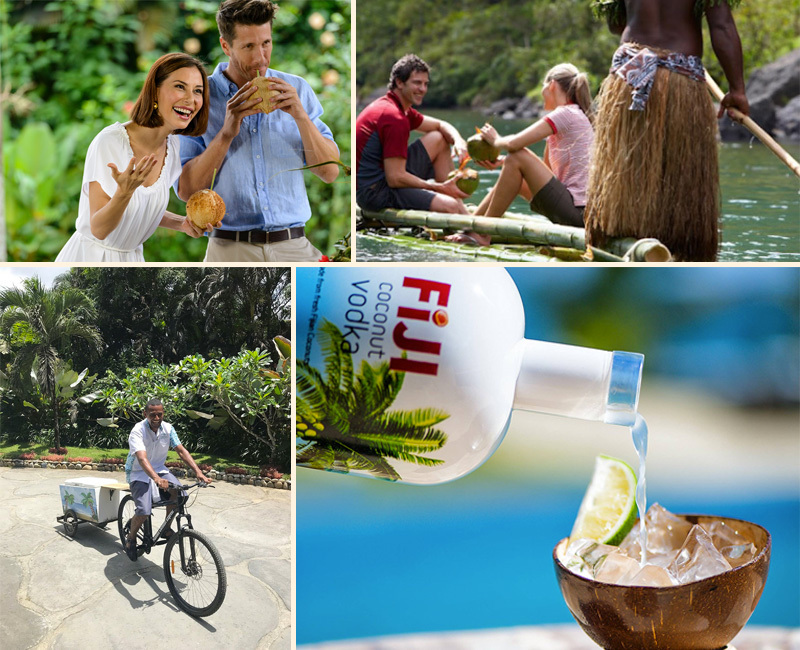 Coconuts are known for their versatility, but our favorites uses for them at Nanuku are for refreshment and special dishes. The inner flesh of the mature coconut seed forms a regular part of the diets of many people in the tropics, including Fiji. Located at the clubhouse, our award-winning Kanavata restaurant regularly delights guests with marvelously fresh coconut in breakfast plates, as part of the delicacy kokoda (Fijian ceviche – chunks of fresh fish are cured in lemon juice, then doused in thick coconut cream, finely diced tomato and spices), and most deliciously in desserts like homemade coconut sorbet. 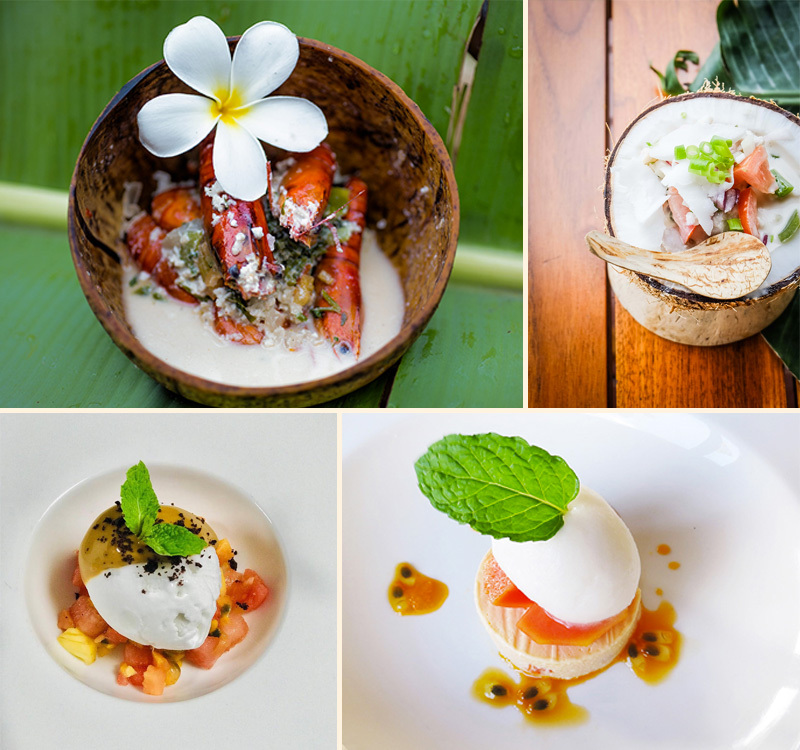 Innovative culinary creations have earned Nanuku the Andrew Harper Top 10 Dining Award and deemed us a Visitor Dining Experience Winner by ANZ Fiji Excellence in Tourism. You may have also seen Nanuku Auberge Resort featured on various cooking shows throughout Australia and New Zealand recently. Even our holiday tree last year was made from coconuts. 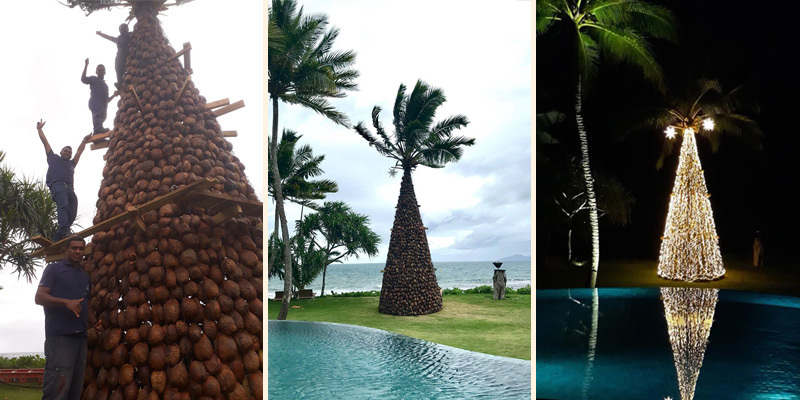 Nanuku staff artfully styled more than 800 coconuts and 8000 LED lights into this impressive 8-meter masterpiece decorating our oceanfront clubhouse pool. 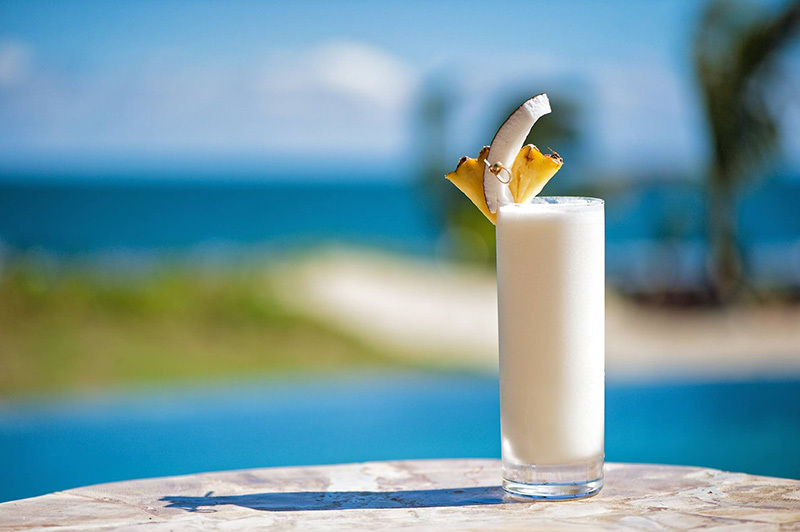 Build and stir in a Collins Glass with ice, top up with soda water and garnish with pineapple slice and pineapple leaf.